(SEE AVAILABILITY ABOVE FOR ESTIMATED DELIVERY) - Weighted Universal Holders Standard Handle, Adult Model - Weighted Universal Holders - Plastic vinyl contoured handles improve grasp & control. Securely holds most round or irregularly shaped items by means of 3 adjustable setscrews. 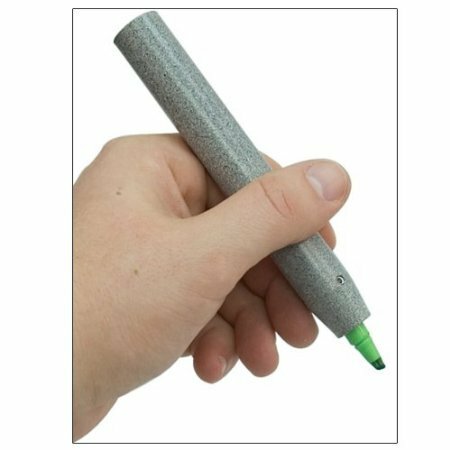 Use with pens, pencils, markers, paintbrushes, crayons, toothbrushes, etc.Pediatric Model Plastic vinyl contoured handles improve grasp & control. Securely holds most round or irregularly shaped items by means of 3 adjustable set screws. Use with pens, pencils, markers, paintbrushes, crayons, toothbrushes, etc.3½" long, 7/8" diameter, wt. 4 oz. Holds items 5/16" in diameter. Comes with #2 pencil, Allen Wrench.Adult Model 5" long, wt. 7 oz. Accommodates items 1/8" to 7/16" in diameter. Comes with Huskey pencil, sharpener, Allen Wrench, 3 - extra long screws for smaller objects. - Rolyan products are internationally licensed & manufactured for home & clinical use. Most of their products offer a lifetime warranty.